Ardell 12 pc Magnetic Lash Display (67902) comes with (4 SKU's, 3 Each) of Ardell professional custom layered lashes Studio Effects false lashes. noticeable appearance. Ardell's perfectly-designed strip lashes have 8 magnets and our accents have 6! 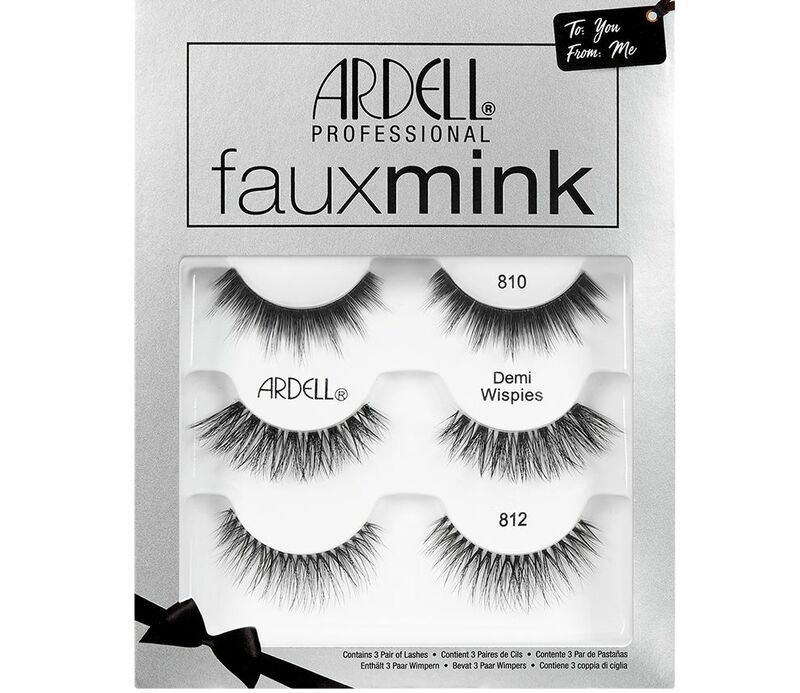 Ardell Natural 5 Pack Demi Wispies Lashes (68980)! Ardell's best selling style Demi Wispies lashes are now available in a convenient 5 pairs multi pack. Never run out of this glam wispy style false lashes again. They will always be available when you have this five lash value pack around. With proper care and cleaning these lashes can be used multiple times. 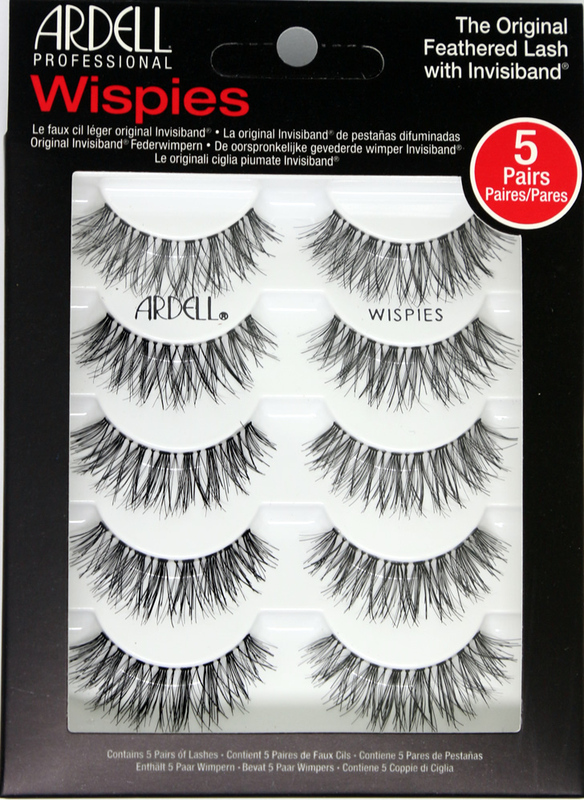 Ardell's best selling style Wispies lashes are now available in a convenient 5 pairs multi pack. Never run out of this ultra glam wispy style false lashes again. They will always be available when you have this five lash value pack around. With proper care and cleaning these lashes can be used multiple times. Ardell Cluster Wispies #603 lashes are a slightly more natural version of the Cluster Wispies 600. The transitional cross-woven hairs clusters are knotted and feathered for perfect uniformity to work with both natural and dramatic make-up. These beautifully airy design lashes features a lightweight invisiband for absolute comfort tempting you to want to seize the day and night! Ardell Double Up Demi Wispies Black Lashes combine two exclusive Ardell styles into one new look. The bottom lash adds fullness and the top lash adds criss-crossed demi wispy flare for an incredibly astonishing lash look for twice the drama, twice the intensity, and twice the fun. 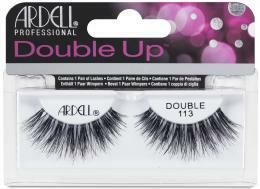 Ardell Double Up Lash Wispies 113 (67497) combine two exclusive Ardell styles into one new look. The bottom lash adds fullness and the top lash adds criss-crossed wispy flare for an incredibly astonishing lash look for twice the drama, twice the intensity, and twice the fun. Our famous silky-soft Faux Mink lash, now available in a covet-worthy gift set! This limited edition, perfectly giftable multi-pack features 2 of our flirty Faux Mink strip lashes, plus the cult-favorite Wispies, complete with the iconic Faux Mink design. Share your love for doe-eyed and dramatic lash perfection with your loved ones as stocking stuffers, or keep as a handy travel kit for romancing on the go! 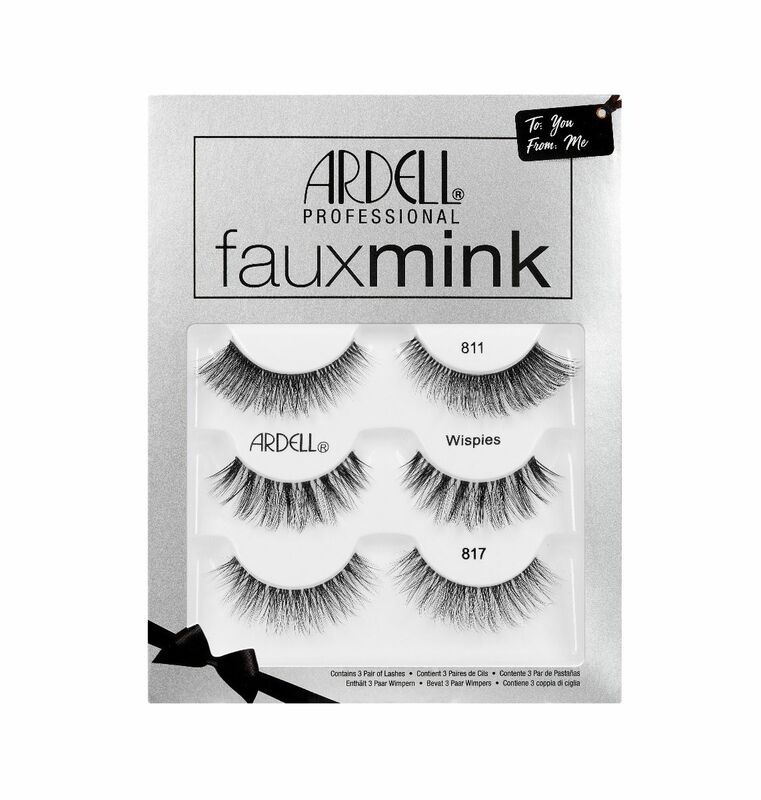 This Lash-Packed Giftables contains Ardell Faux Mink 811, Faux Mink Wispies and Faux Mink 817. Give the gift of crave-worthy, cult-favorite lashes! This limited edition faux mink lash gift set features 3 different styles with lash lengths that create an amplified, feathered, and eye-brightening look. This Lash-Packed Giftables contains Faux Mink 810, Faux Mink 812 and Faux Mink Demi Wispies. Sparkle all holiday season or give as stocking stuffers! Ardell In Love Wispies 16pc Cluster Wispies Display (also known as Ardell Professional Cluster Wispies Natural 16pc Display Set) comes with 16 pieces (4 SKU's, 4 Each) of Ardell Professional cluster wispies lashes. 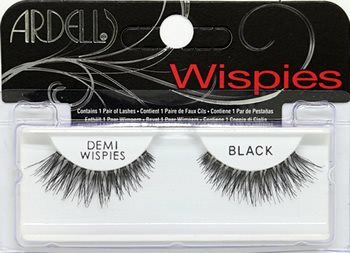 InvisiBands Demi Wispies (also known as Ardell Fashion Lashes Demi Wispies and Ardell Natural Demi Wispies) provide an authentic natural criss-cross seen in real eyelashes. This wispy style falsies is comparable to Fashion Lashes #120 Demi. Ideal for occasions: Prom, Wedding, Holiday, Party, Night out. InvisiBands Demi Wispies (also known as Ardell Fashion Lashes Demi Wispies and Ardell Natural Demi Wispies) provide an authentic natural criss-cross seen in real eyelashes. This style is comparable to Fashion Lashes #120 Demi and Bullseye JOAN lashes. Ardell Invisibands Wispies Lashes (New Packaging - also known as Ardell Professional Wispies) have extreme length and volume. These are the longer version of Demi Wispies. This style is comparable to Fashion Lashes #113 and Bullseye Vivien Lashes. New packaging InvisiBands Wispies may say "Ardell Fashion Lashes Wispies" or Ardell Professional Natural Eyelashes Wispies. " Do not be alarmed. This is just a name change. The lashes are the same.